Well, this was easy, but what about selecting all albums of the artist? 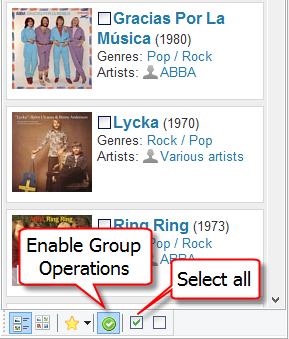 For example, you may want to do something with the albums in Group Operations. 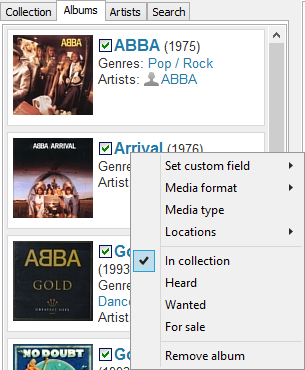 Make sure that the "Albums" tab is selected on the left (there are 4 of them: "Collection", "Albums", "Artists", "Search"). Done. Now you can right-click the list and apply some action, or use the selection in a different way.